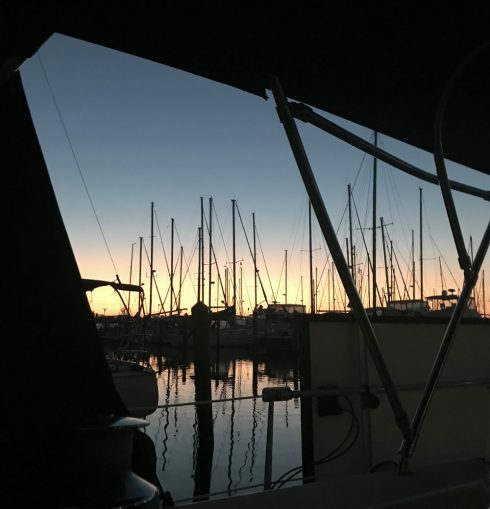 The irritation of “the week that was” has given way to the positive memories like waking up to this kind of sunrise view … even if it was in a marina. I’m thankful to have the out of water maintenance headaches behind me and can now look forward to “escaping” to our little corner of paradise once again. Life is so very good at this moment. Thank you Lord!